Local community mayors have scheduled a meeting next week to discuss plans for future mechanical breakdowns of the Thomas A. Mathis bascule bridge, which have caused multiple traffic tie-ups in recent weeks. Last Saturday’s breakdown, which lasted hours, backed up traffic throughout Toms River, as well as arteries on the barrier island and into Brick Township. Eastbound traffic was diverted onto the fixed-span J. Stanley Tunney Bridge, which normally only carries westbound traffic across Barnegat Bay. Vaz said Seaside Heights will propose a plan under which his town and Toms River will instantly begin to work together whenever the bridge suffers a mechanical issue. If the problem lasts more than 15 minutes, traffic will begin to be diverted, as it was last weekend. “Police will come over to the bridge and they will direct traffic – one lane going east, two going west – until the problem is solved,” Vaz said. 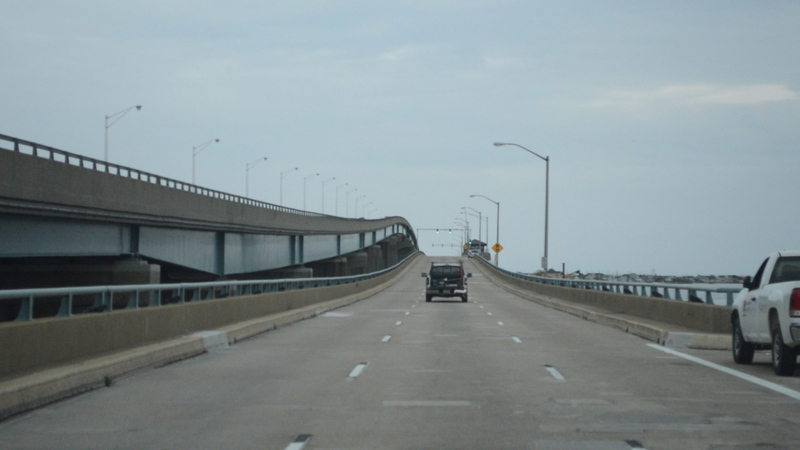 The bridge is under the jurisdiction of the state Department of Transportation and primarily is located within the boundaries of Toms River Township, however it is the major entry and egress point for the bulk of Ocean County’s northern barrier island, making issues with the span radiate to numerous other local communities. The frequent problems with the bridge, as of late, prompted northern Ocean County’s state legislators to pen a joint letter to Richard T. Hammer, the state’s new transportation commissioner. In the letter, state Sen. Jim Holzapfel and Assemblymen David Wolfe and Gregory McGuckin (all R-Ocean) called the recent breakdowns “unacceptable” and prodded the DOT to repair the issues as soon as possible. Last weekend, traffic tie-ups from the closure brought much of mainland Toms River to a standstill since traffic was diverted onto Fischer Boulevard. There were also traffic jams in Brick Township, as motorists were funneled onto Brick Boulevard and Mantoloking Road so they could be detoured over the Mantoloking Bridge to the island. State transportation officials were not able to be reached for comment by press time. Vaz said last weekend’s breakdown of the bridge involved the bridge’s arm, which would not rise to allow traffic through. The bridge is currently undergoing a long-term upgrade project, which will resume after Labor Day.